Arts & Crafts, Live Entertainment, 5K Tater Trot Run/Walk, Carnival Rides, Potato Soup, Potato Candy and more! 40th Annual Spring Valley Potato Festival - Arts & Crafts, Live Entertainment, 5K Tater Trot Run/Walk, Carnival Rides, Children's Games, Kiddie Tractor Pull, Pet Parade and Lots of Good Food! Come and shop at all the unique vendors! Lots of Arts and Crafts booths, come hungry and eat some food from our many food vendors. Yummy Potato Soup and Potato Candy is always a must! Sit and enjoy the music in Bledsoe Park at Thompson Pavilion. You don't want to miss this event! See you there! Please do not park along the streets in town. 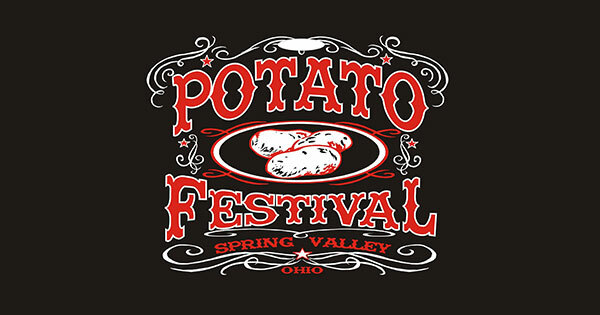 Find more events like "Spring Valley Potato Festival"